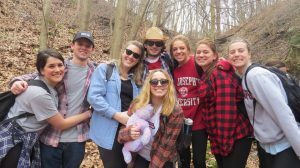 Tess ’18 learned that a little love goes a long way when she took part in the Appalachian Experience for the first time. Growing up in the Midwestern city of St. Louis, the East Coast had always been an interest of mine. I was obsessed with fast-paced city living, crazy accents, and the history of cities like New York, Boston, and Philadelphia. 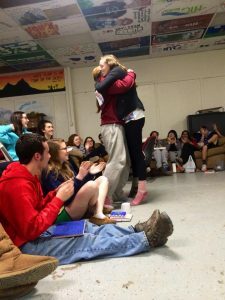 After touring 13 schools, I decided to attend St. Joe’s, and moved in as a brash, opinionated, bright-eyed 18-year-old excited for every second I was about to experience. I knew I was going to love the independence of living and learning on a college campus, and I thought I had found my place immediately. I was outspoken in classes, made friends quickly, was involved in clubs and activities on campus. I was doing everything that I had done in high school, but this time without the safety net of being 30 minutes from home. Although I was happy during my first semester of freshman year, I didn’t know who I was going to become. The future wasn’t as clear as it had always been. That was until I participated in the Appalachian Experience. I unwillingly went to Neon, Kentucky, my first service trip, after crying to my mom the night before sendoff. I didn’t know any of the 52 people going with me, I didn’t really know where we were going or what we were going to experience. My week in Neon challenged me to grow as a Jesuit woman, one who works with and for others. It allowed me to become a listener rather than a talker, a partner rather than taking over, and although I didn’t know it yet, it paved a path for my new life plan. 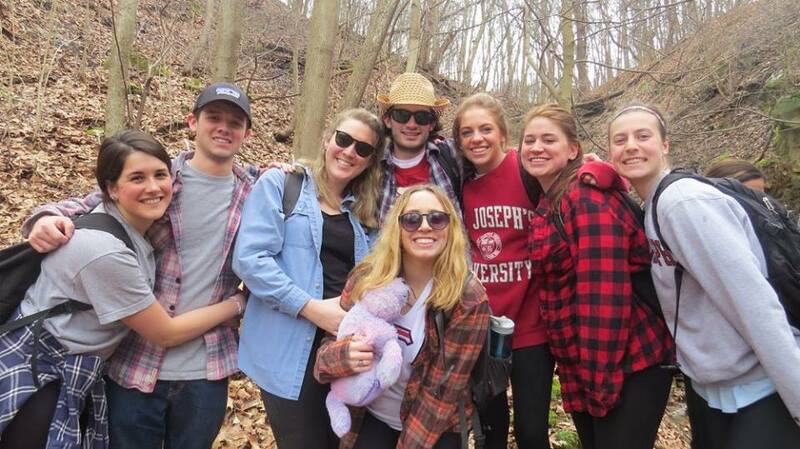 My first APEX trip was just the beginning of my St. Joe’s story. I have always been interested in helping people. I’m a political science major whose goal coming into college was to run campaigns that would change the structures of citizens’ lives for the better. After traveling to Neon, I was terribly disheartened with America’s governmental institutions. The entire town was without running, drinkable water for 4 days, and no government official seemed to notice. How could the people and country I looked up to for my entire life be ignoring an entire region of the country? I began to see the change in myself, when instead of turning to politicians, I turned to service. During my sophomore year of college, I began to do weekly service and signed up for my second APEX trip. I was beginning to learn more about myself, and found my center in the Jesuit values. As a tour guide, I was now able to wholeheartedly and honestly describe what it meant to be a Jesuit student. I was literally walking the walk. This time around, I wasn’t sad or nervous to go on APEX; I craved it. 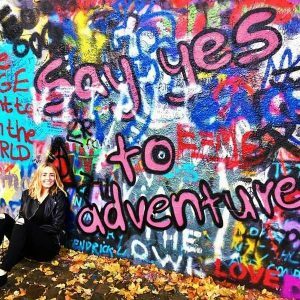 I was feeling the crushing stress of applying to study abroad, finding an off-campus apartment, writing a 20-page thesis paper, and navigating through the changing friendships of my second year at school. APEX was calling my name and I truly needed the break. As a sophomore, I went to Lantz Farm, West Virginia with the coolest, funniest, weirdest, smartest, and kindest group of 37 people. 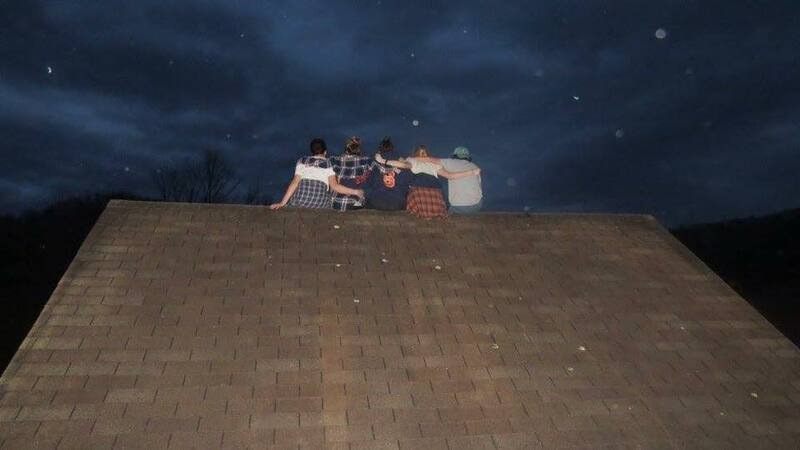 We cried together, both happy and sad tears, served the northern West Virginian communities together, and learned so much about each other and ourselves together. My favorite moment from my second APEX stopped me abruptly. The entire group was sitting in the living room hanging out, and I had to run to one of the vans to grab something I forgot. I got outside and happened to look up. I was stopped dead in my tracks by the stars. There is truly nothing more immensely beautiful than the sky with no city lights obstructing or polluting it. I stared and began to cry while I was standing alone hearing the laughter of my group inside. St. Ignatius said, “Go forth and set the world on fire.” Well, that night, the overwhelming sensation of happiness grew so fast inside of me, I felt my heart set on fire, in the best way possible. I’m so grateful for APEX. It’s given me a new, directed purpose in life. Although I’m interning at the European Parliament now, I do not see myself working in the government sector in the future. Because of the APEX tears, laughs, love, and inspiration, I want to directly help those in my community. I’m only a junior, so the future still scares me, but I know that I want to work at a non-profit, helping young girls achieve their dreams. I want to turn brash, opinionated, bright-eyed young girls into smart, dedicated, and incredible women who want to serve with and for others. Without St. Joe’s I wouldn’t have APEX, and without APEX, my desire to “set the world on fire” may have never been found. So, thanks SJU and thanks APEX for igniting a light in me that won’t be extinguished. And APEX 2017, I’m craving you! Tess Hill is a junior Political Science major with a Journalism minor from St. Louis, Missouri. 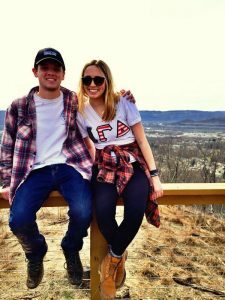 She’s involved on campus as a sister of Alpha Gamma Delta, a Hawk Host, and College Democrats. She’s extended her passion for SJU not only to the Appalachian region, but all the way to Leuven, Belgium where she is currently studying abroad and interning with the European Parliament.